IDB Global Federal Credit Union is the 2nd largest credit union in Washington, DC serving over 11,000 members internationally. 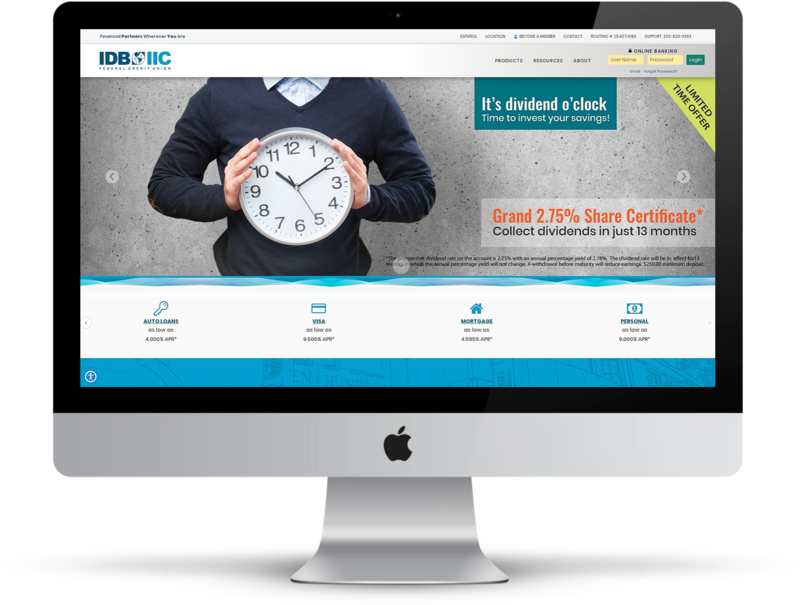 IDB partnered with Avtec a second time for a full re-branding campaign which included modernizing its website with a new logo, colors and domain. The new site is fully bilingual and features simplified, streamlined content and images that appeal to their diverse, multinational membership.